Pub in the Park brings together brilliant food and live music, making for the ultimate pub garden unlike any other. 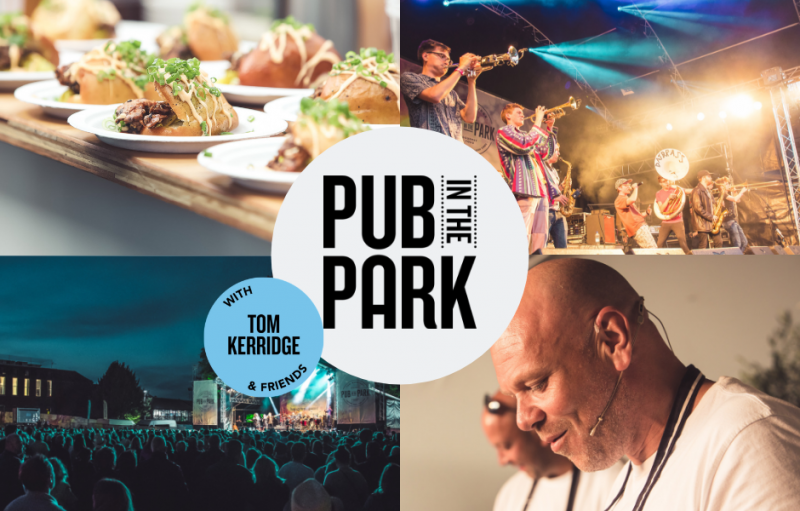 Whether you’re a foodie fanatic searching to taste dishes created by some of the world’s best chefs, or a music lover who can’t resist the chance to watch your favourite music acts live, Pub in the Park has got you covered. We spoke to chefs Nick Deverell-Smith, who will be serving his delicious food at Warwick, and Michael Wignall, at Leeds, about all things grub, music, and festivals. This is your first time at Pub in the Park Warwick/Leeds, what made you decide to get involved with the food festival scene? NDS: It was such an honour to be asked to be part of Pub in the Park, it’s a great festival with amazing chefs and bands…. it was a no brainer to be involved. MW: When we were asked if we’d like to be a part of Pub in the Park we jumped at the chance. It’s great for the team to do something really different and fun and get out of our comfort zones. Can you give us an idea as to what you will be serving at this year’s festival? NDS: I have tried very hard to keep the food offering at the festival as close to what we do at the Churchill Arms Paxford, look out for our lobster arancini. It’s amazing! MW: We’ve been working on some great dishes for the festival. One is our take on the humble pork pie, we’ve named the dish ‘Pig in the Park’. 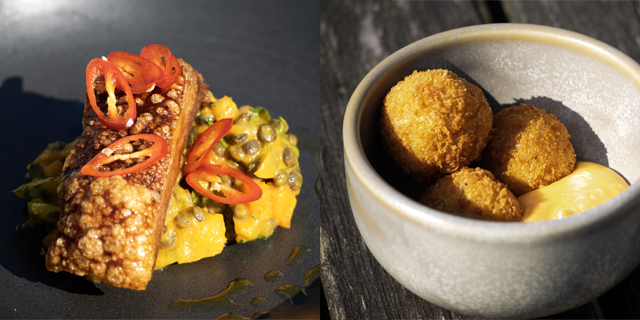 It will be served with our homemade turnip pickle – a homage to Branston pickle and our own salt chamber aged pork scratching, with ham hock gel. In recent years, food festivals have become increasingly more popular – why do you think the population has become more adventurous with their food? NDS: I think it’s because the offering of restaurants in the UK has improved and is now a much higher standard. Also there are so many great TV shows and books showcasing different types of cuisine. MW: I think that social media is a big thing – it brings food into people’s lives that perhaps they wouldn’t have tried before. Also, people cook more at home nowadays. We are all more aware of leading a healthy lifestyle and so, moving away from convenience food. Also at Warwick are chefs Tom Kerridge and Fred Sirieix, whilst at Leeds, Tom Kerridge and James Mackenzie (to name a few! ); whose dishes are you looking forward to trying? NDS: I am really looking forward to seeing what everyone is offering. I am a big fan of Tom Kerridge and The Coach in Marlow, so I’m looking forward to seeing what they have in store. 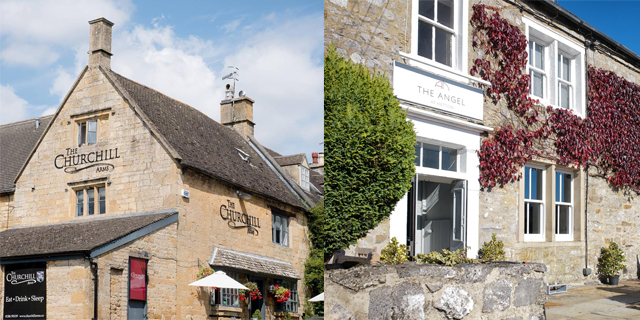 MW: We only moved to the North and took over The Angel in September last year, so we haven’t had much of a chance and to try out many restaurants/pubs in the area. This will be a great chance for me to do that and meet everyone too! NDS: That’s got to be a great burger and a cold beer! MW: I think something that’s easy to eat, easy to hold and very, very tasty – I’m sure there will be a lot of that on offer! And finally, the power of a festival is in your hands. We want to know your dream music line-up, food on offer, and any special extras. NDS: I would get Oasis to reform for a festival in my hometown Warwick. I’d also have the Beatles and The Rolling Stones. Marco Pierre White, Gordon Ramsey and Eric Chavot would be cooking and Kate Moss, Cindy Crawford & Claudia Schiffer, as the hostesses! That’s a festival! MW: I’ve got an eclectic taste in music and will pretty much listen to anything. There are some great bands and artists playing at Leeds, I am looking forward to Top Loader. You are normally pretty limited food wise at a music festival which is what I think makes Pub in the Park so special. You can enjoy some really great music but rather than the usual rubbish, processed food, you have some of the best food offerings in the country! What will make the festival extra special for me is having some of the team enjoy it with me and my little girl who will be coming on Sunday. 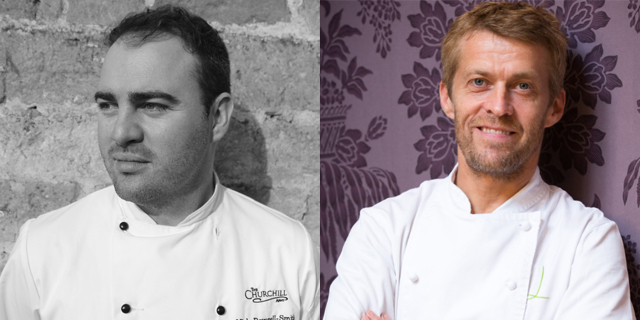 Don’t miss Nick Deverell-Smith at this year’s Pub in the Park Warwick, and Michael Wignall at this year’s Pub in the Park Leeds; where you can catch themselves, and many more great chefs, serving delicious food. Plus live music from top artists, shopping, and more. Tickets on sale now!